Thursday, October 5, 2017 (TORONTO, ON) – Delvinia, an innovative data collection company and technology scale-up headquartered in Toronto, is pleased to announce the addition of Suzanne Costa as Executive Director of its AskingCanadians online data collection business. Costa will oversee all aspects of Delvinia’s AskingCanadians data collection business, which will enable Delvinia EVP Raj Manocha, who has played a pivotal role in building the AskingCanadians brand since joining the firm in 2011, to focus on growing revenues across all of Delvinia’s commercial business units. 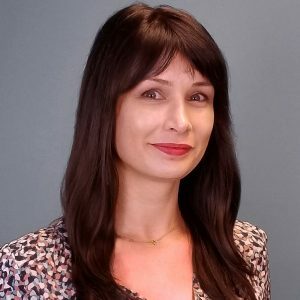 With more than 15 years of experience in the marketing research industry, Costa brings a wealth of experience to her new role, having led North American operations for Verve and global operations for Research Now. Costa will oversee the AskingCanadians business, solidifying the brand’s positioning as the market leader in Canada and directing future growth across the country. AskingCanadians, a Delvinia company, is an online data collection firm with access to a research community of more than one million Canadians who have opted-in to participate in online surveys that significantly influence today’s leading brands. Established in 2005, AskingCanadians owns and manages the AskingCanadians online research community and its French counterpart Qu’en pensez vous. AskingCanadians is dedicated to enabling market researchers to quickly gather and deliver high quality information from Canadian consumers. AskingCanadians and Qu’en pensez vous are built through incentive partnerships with Aeroplan, Hudson’s Bay Rewards, Walmart, PETRO-POINTS, and VIA Préférence. The result is an average response rate that eclipses the industry. For more information, please visit corporate.askingcanadians.com.